Gas prices rose cautiously yesterday, keeping pace with the broader European energy complex with coal and Brent lifting within day. Gas prices increased throughout Wednesday’s session as the overall energy complex was bullish, with carbon markets in particular displaying large gains. Oil also rebounded, while a cooler weather outlook offered support to the front of the curve. Gas prices displayed minor losses yesterday as the Pound strengthened against the Euro and the system was oversupplied. Movement on European markets was more mixed as coal, carbon, power and oil prices moved in different directions. 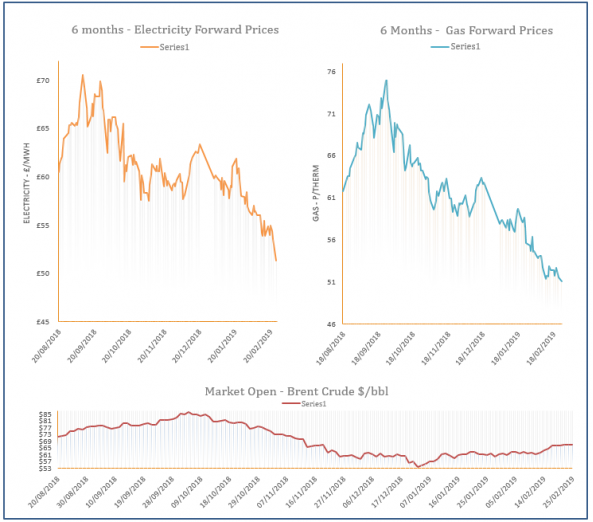 Gas prices moved down yesterday as fundamentals were bearish throughout the session. The system was oversupplied with mild weather expected to continue this week, while numerous LNG deliveries have boosted supply. Meanwhile, oil shed over $2/b from its price following comments from the US President. 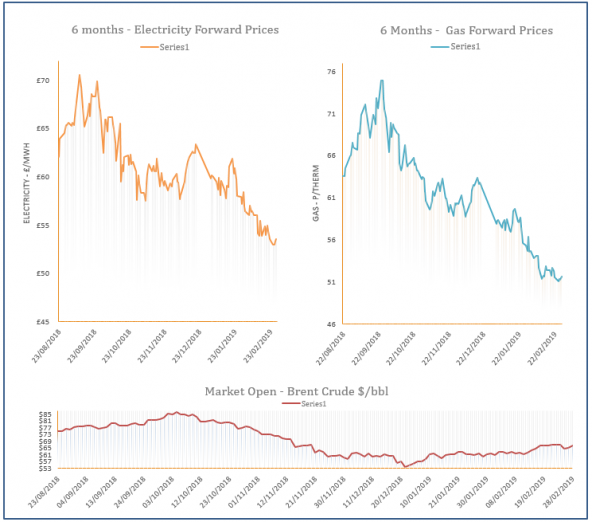 Gas prices moved lower on Friday, pressured down by movement on financial markets, a mild weather outlook and a flurry of LNG deliveries to the UK. 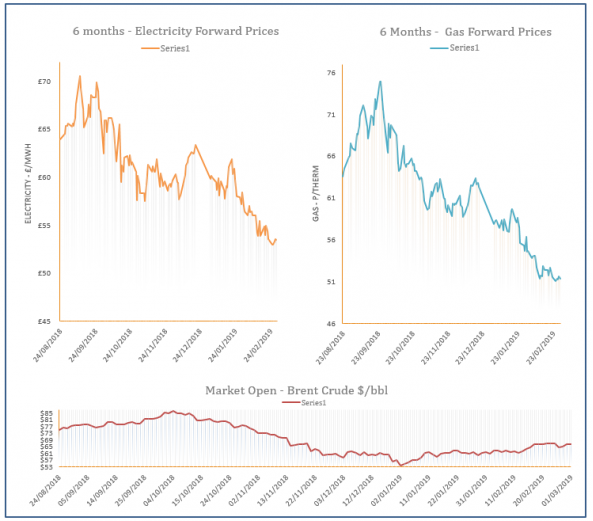 The overall European energy complex was also bearish, resulting in losses on the far-curve.